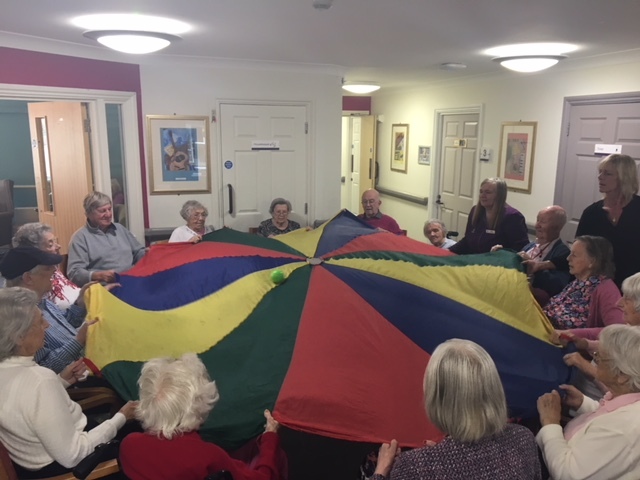 On October 3rd, a fun filled hour was had by a number of residents at Thames Side Care Home when District Manager Victoria Kibble took in her parachute. Activities co-ordinator Sarah was thoroughly impressed at how everyone interacted and communicated in order to participate. It was lovely to see so many residents wanting to get involved. Thank you Thames Side for a great afternoon.